Facing cuts in their acquisitions budgets that may climb as high as 20% next year, the UC Libraries are asking publishers from whom they jointly license electronic content — journals and other scholarly publications — for a break. A letter went out late last month to the content providers with whom UC campuses jointly negotiate the purchase of licenses, informing them of the state's and UC's dire budget woes. The libraries called for collaborating on some creative solutions to "maintain access to resources important to the UC mission." Some options the campuses want content providers to consider: deeper discounts on new products, outright cost reductions and some leeway in allowing individual campuses to pull out of systemwide agreements without penalizing the other campuses who want to remain in. Together, the 10 UC libraries spent $34million last year to jointly purchase at discounted rates licenses for large "packages" of important publications across a broad range of disciplines that students, faculty and researchers require for their work. UCLA Library paid roughly 19% of this cost — approximately $4 million — as its share. 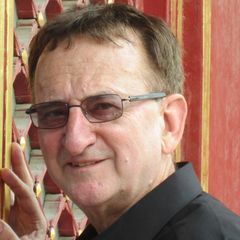 University Librarian Gary E. Strong of UCLA. 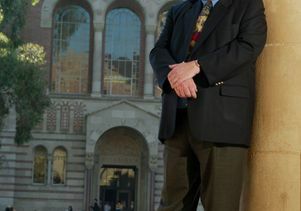 "UCLA counts on close to $1 billion a year in research grants from federal and other sources," said UCLA's University Librarian Gary E. Strong. "Our joint licensing agreement provides the essential raw material that researchers need to complete their grant-funded work as well as broader scholarship across campus." These joint purchases represent about 25% to 30% of the library materials UCLA Library purchases each year. The ability to bargain as a consortium for a multi-library license is what makes the UC system stand apart from Harvard, Yale, Princeton, Columbia and other universities who don't have that kind of leverage, Strong said. The UC libraries are now using their clout to ask for help. "We're sending a clear message that the system is about to break, folks. The University is strapped," said Strong. "There's no more money to pay out for these huge increases." Some content providers have increased the cost of licenses this year by as much as 30% in a marketplace where they are the sole source for these academic titles and competition doesn't exist. The irony is that a large percentage of the content in these publications comes from faculty from major AAU universities in the U.S. "In essence, we're buying back our own stuff and other work generated at Michigan, Cornell and other AAU institutions," Strong said. "It's estimated that as much as 80 percent of the content is generated from U.S. universities." UCLA Library is under the same mandate to cut 5 percent of its budget as the rest of the campus. In addition, it must begin paying for cost increases for energy, deferred maintenance and employee benefits — increases that the state will no longer cover. The barrage of budget cuts may get worse with the state's current predicament. "We're looking at a cut in our materials budget by as much as 15% to 20% next year," Strong said, at a time when the number of articles being downloaded from these publication databases is rising each year. Last year, UCLA Library spent a little more than $14 million on materials of all types, including print, electronic and many other formats. Since 1998-99, UCLA Library has been trimming the list of serials it subscribes to in response to massive inflationary price increases, fundamental changes in the academic publishing industry and the way libraries acquire content, and the erosion of the dollar. This year, approximately 800 serials are up for cancellation. While most of the titles on this list are print publications that will still be available online, a small number only available in print were put on the list "in an effort to respond to the growing financial crisis," according to the library notice. Faculty had the opportunity to comment on each title before a final decision will be made. The budget crisis is not the libraries' only challenge. "There's been a significant and fundamental change in the way libraries access databases," said Strong. With electronic publishing, "we no longer own the content as we did with print." Under the fair use provisions of the U.S. Copyright Act, libraries paid for print once, and it could be placed on course reserves, lent out on interlibrary loan and placed into preservation storage. Today, these databases fall under commercial law and contracts, "which means you don't own anything. You merely pay for the privilege of viewing it for a specific time," Strong said.